A modern hotel beautifully decorated in a style depicting the rose-red colours of the region, offering the guests comfort as well as a relaxed friendly atmosphere. All rooms are tastefully decorated with some traditional embroidery, modern amenities, air conditioning, private bath, and TV with satellite channels. All rooms are spacious and the hotel features a spacious lobby/lounge creating a welcoming atmosphere. 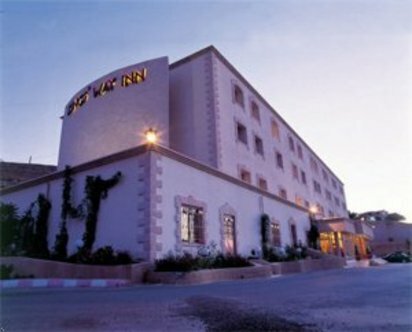 The hotel is located conveniently on the main road leading to the city center.